Just changed the heater Matrix on my mothers Peugeot Partner multispace 2004 with A/C so thought I would share my findings here before I forget. Firstly this is quite an involved job not for the feint hearted and wouldn’t recommend for a novice. No warranty implied or given for the following took me about 5 hours and I am quite speedy. I don’t believe any of these steps can be missed out in order to save time. With the doors all closed ignition off and key removed disconnect the battery. 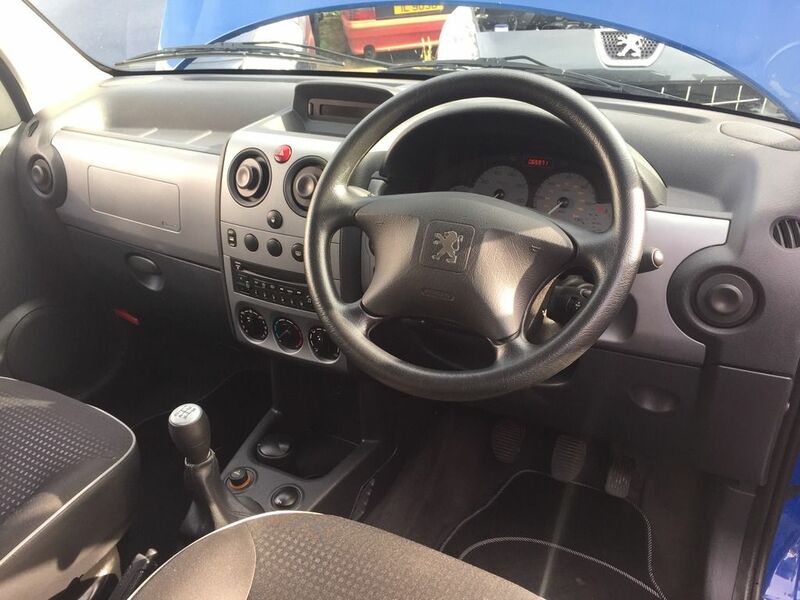 Remove the centre console and lift off over the handbrake and gear lever. Remove the felt covers under the dash both sides, remove the glove box. Remove the dash trim to the right of the steering wheel and with a 13mm socket on an extension remove the retaining bolt through the round cut out in the dash. Remove completely the bolt that connects the steering column to the steering rack, scratch the column and rack with a mark to aid reconnection. Remove the 4 13mm bolts holding the steering column on. Pull the steering wheel and rack up and out a few inches and then disconnect the various electrical connection to ignition, lights, indicators etc. Then remove column and steering wheel as a unit. Remove A pillar trim pieces both sides, remove radio, poke some thin screw drivers or allen keys into the holes to free it off. There is a retaining screw in there sideways on that I missed that needs to be removed connects dash to heater box. Remove various screws along bottom edge of dash. Remove 13mm bolt holding metal support bar to floor near gear lever, there are also some screws and bolts here low down and easy to miss right down at carpet level. Remove windscreen wipers, remove plastic scuttle panel under two parts, remove rainwater collectors to either side. Remove wiper metal linkage various 10 mm bolts mark orientation of wiper arm linkage on top of motor support panel in park position prior to disconnection (its 3 O’Clock). Disconnect wiper motor from its support panel 3 x 10mm bolts and remove wiper support panel. Remove 3 x 10mm bolts with a long reach socket from within wiper arm mechanism reveal these go through the firewall and hold top of dash, 1 is right behind the wiper motor and inaccessible without removing it above. Remove the two 13 mm bolts on the drivers side. Push metal retaining clip to right between heater matrix feed pipes as they go through the firewall then wiggle pipes vigorously to disconnect, a small amount of coolant will come out. Mine was well stuck on. Remove the 2 x torx screws in the metal adaptor plate and lift off over matrix feed pipes, then remove rubber gasket in the same way. Push seats right back and engage 2nd gear. You should now be able to pull the dash out towards you work one side and then the other feel for any screws you have missed. Once the dash come forward look behind and you will find the two dash speaker cables straining, the radio aerial and also a heater control cable. I made the mistake of disconnecting this at the heater box end and it took me 30 minutes to reconnect on reassembly complete pig, I would try the other end at the heater control know it must be easier. Free off straining cables and let dash rest up against gear lever. This gives just enough room to get matrix out, or you could take dash out completely but there are lots of cables. Remove the two 10 mm bolts going through firewall lower down than the others, if you have A/C then they are at the same height as those pipes. Now if you don’t have A/C you should now be able to pull the heater box forward and then fish out your heater matrix. If you have A/C then the pipes going through the firewall on the passenger side prevent this, however if you disconnect the matrix coolant pipes at the top of the matrix 2 x 10 or 8 mm bolts and pull the pipes off, then pulling forward on the heater box as much as you can you can just get the matrix out. Pushing the dash back into position is a bit of a game secure the heater box first, then there is a loose bit of metal which holds the steering column that goes on next (the two 13mm bolts in the wiper linkage recess) however there is a large plastic vent pipe that feeds the driver’s side vent that goes through and around this so you have to fit this metal frame and dash together. Once you are confident everything you disconnected is reconnected then push dash home and bolt back in, watch out for that driver’s side air vent pipe. Refit instrument cluster a bit of a fiddle and radio. Top up coolant you don’t lose much. With doors all closed and ignition key removed reconnect battery. Check engine starts OK and everything works correctly electric windows, fan, lights, indicators, instrument cluster, radio, heater controls …. Basically everything apart from wipers. Bit of a marathon took me 5 hours if I was to do it again probably 3 but to be honest won’t be putting my hand up for that again any time soon. Actually it is not essential to remove the glove box however does make it easier to get hold of dash to pull it out and push back in. The hinge mech on the glove box was designed by a numpty which makes it very difficult to remove and refit you will need to get your head right into the foot well looking up to see two white plastic hinge pins which can be slid to one side with a flat bladed screw driver. Refit is the reversal of removal only takes twice as long. Allow 10 minutes to remove and 20 to refit yes seriously :-(. Alternatively a good lamp in the foot well and a mirror might work too which might save on your chiropractor bill. This needs fitting before the felt under tray. Hi Missspentyouth welcome to the forum, that is a cracking write up thanks for taking the time it is bound to help someone in the future. No problem I spent an hour looking for one with no success so thought I best write one. Thanks for this. I'm debating whether to do this for my Berlingo, as the matrix is leaking slightly. Maybe go for the K-seal first! Don't put any sealers in, they just block everything up & K seal is the worst . I fitted a matrix yesterday & took a few photos to go with this thread . Will post them up when I get a chance . My last Berlingo ( 1.9 van ) had a very minor H/Ex leak when I bought it and 4 1/2 yrs later when I sold it all was still the same no worse and no better. An older vehicle can cope with a slightly damp / stained carpet especially a van though I suppose a newer and more expensive car version may elicit a different emotion. Ok, as promised, here are a few pics from the matrix replacement I just completed. It's not a comprehensive guide, you can forget to take shots once you get stuck in. This will prob put people off more than encourage . The car was a 58 plate 1.6 hdi, in superb condition, the supplying garage had added K seal to fob the owner off, he was not happy .